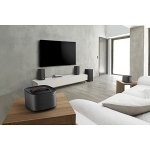 LG expressed its own view of a wireless, lifestyle loudspeaker with PH2, PH3, and PH4 models. 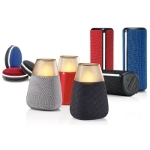 All are based on Bluetooth technology with the PH2 and PH4 rather conventional in design but PH3 featuring an integrated light source with adjustable color. Libre presented the LibreSync platform which offers audio streaming over WiFi during 2015. 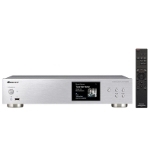 For 2016, they announced the DDMS technology (Dynamic Direct Multinode Streaming) which allows the streaming of uncompressed audio files up to ten 24/192 devices simultaneously with very low latency. 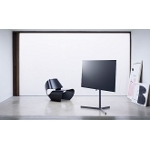 Loewe presented the TV Bild 7, their first model based on OLED display technology (using panels from LG). 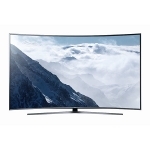 It is available in 55 and 65 inches and can display 4k/HDR material. 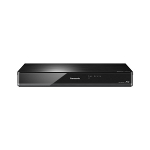 The device has an integrated soundbar that appears only when turned on and a PVR with 1TB capacity. 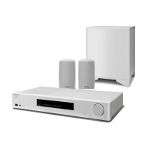 The truth is that we rarely see compact audio systems from East Europe. Consequently, this Polish Manta MMS001 deserves mention. 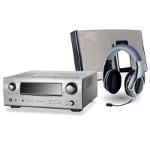 It seems well designed and offers a CD player, MP3/WMA playback via USB and an FM radio tuner. 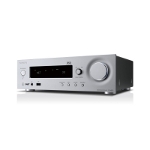 … and the R-N855 receiver which, apart from its streaming features (which are similar to those of NS-6170), also includes an FM/DAB+ radio receiver and 2x70W amplifier. Panasonic exhibited the CRW854 and CXW804 TV-set series, both based on their 4K Pro processor. 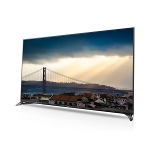 The CRW854 sets are available in 55 and 65 inches curved screens while the CXW804 series use flat panels and are available in models from 40 to 65 inches. 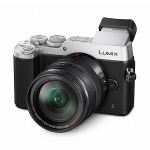 … while in the digital cameras realm, visitors had the opportunity to see, among others, the mirror-less 20Mxp resolution DMC-GX8. 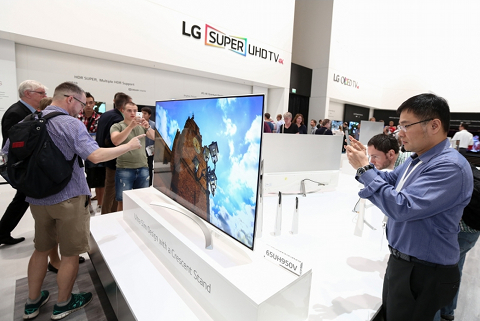 In Panasonic's pavilion, also, a prototype of a new TV with OLED panel was displayed with few details unveiled, including the fact that it is an effort for a significant improvement towards black reproduction. More information should be expected in the next few months, the company said. 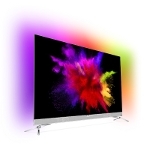 TP Vision/Philips' 901F is their first TV-set based on an OLED panel. 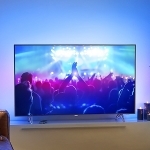 The set features a 55-inch diagonal screen, makes use of their Perfect Pixel Ultra HD Engine top video processor and includes the Ambilight light-biasing technology. The set supports 4K/HDR picture. 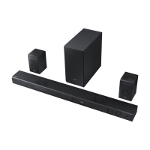 In Fidelio series, Philips demonstrated the E6 system (4.1 channels with a virtual center channel) and the B8, a soundbar compatible with Dolby Atmos. It uses 18 drivers, some of which radiate towards the ceiling to create, using the reflections, the sense of height. The company also showed their new low budget range of headphones, the Flite. It includes four models (Everlite, Aerolite, Ultrilite and Hyprlite), all characterized by their low weight and high comfort. Finally, those visiting the Philips space had the opportunity to see up close, the 7000 series top TVs, among them the 7601, featuring an LCD/LED panel and local dimming technology and backed by the company's leading video processor (Perfect Pixel Ultra HD Engine). 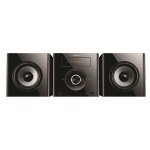 Pioneer presented their N30AE media player/streamer. 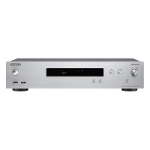 The device supports wireless networking, streaming services such as Spotify, Tidal and Deezer and high-resolution files playback (FLAC, WAV, and AIFF up to 24/192). It can be upgraded to be used as a server (using any drive connected to one of its USB ports available). In a rather surprising move, Pioneer also presented two conventional CD players, the "basic" PD-10AE and the more advanced PD-30AE. 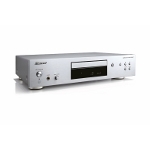 The later provides digital outputs (coaxial and optical) and a headphone output with volume control. 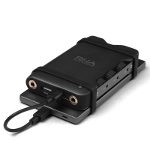 Dacamp L1 from RHA is a portable DAC/Headphone Amplifier, suitable for use with both Android and iOS devices. The circuit features d/a converters from ESS (an ES9018K2M per channel) and an AB class linear power stage. It can be connected by either a digital (USB/Toslink) or a standard ,3.5mm TRS, analog input and it is powered by a 4000mAh rechargeable battery for 10 hours of continuous operation. 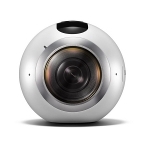 The Gear 360 from Samsung is a camera which allows taking and stitching photo scenes at an angle of 360 degrees. 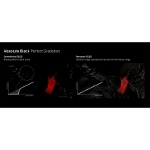 Samsung says that is the perfect tool to create content suitable for display on virtual reality systems. It works, however, only with their own smartphones. 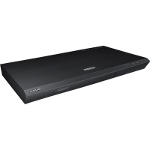 HW-K950, also from Samsung, is a soundbar that supports Dolby Atmos and is capable of supporting 4K signals routing (in pass-through mode), so it can be a member of a full 4K/UHD home entertainment system. It also supports wireless audio streaming via Bluetooth and WiFi. 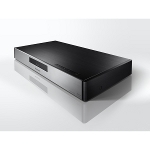 … and for those who want an equally performing video source, there is the UBD-K8500 Ultra HD Blu-ray player (also from Samsung) which is HDR and 3D material compatible and capable of 4K upscaling. 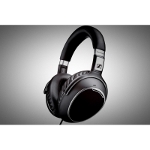 Sennheiser introduced the PXC480 headphone set with active noise cancellation. This wired headset is targeted towards those who are in constant motion and want good sound quality and some serious isolation from the external noises.